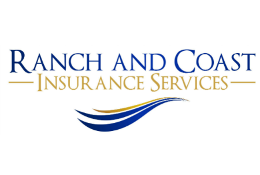 Ranch and Coast Insurance Services, is a risk management and insurance firm that protects your assets by eliminating gaps and redundancies in your coverage. We do this through a process of review, design, implementation, and maintenance. We provide peace of mind through simple, organized, and efficient solution. We are located in Rancho Santa Fe, CA and proudly serve clients throughout Southern California, Texas, Arizona, and Colorado. Our products range from home, auto, and business to any of the unique needs you may have. We are able to write many types of insurance policies for individuals and businesses. All of our client’s policies are mailed to our office, organized based on their preference, and hand delivered. Once you are with our firm, you will work with one agent throughout the life of your account. Our team of agents are able to create individualized policies for every customer including startup companies, contractors, and restaurants. This is due to our established relationships with providers like Chubb, PURE, and AIG who give us the ability to shop for competitive rates on behalf of our customers. We also offer niche products like Errors and Omissions (E&O) Insurance, Directors and Officers (D&O) Insurance, equine insurance, international insurance, and insurance for aircraft, large yachts, and charters. We also insure high risk homes, and homes that are being “flipped”. We make ourselves available by phone, email, and text—it is our standard to respond to all communication within 24 hours. We keep track of all policies and perform annual reviews 30-60 days prior to the renewal date to make sure everything is accurate and up to standards. Clients like our boutique feel because we make doing business easy and efficient. We go above and beyond so you can focus on what you need to and leave the rest to us. We truly care about the people we work with and take the time to give our clients the best service.